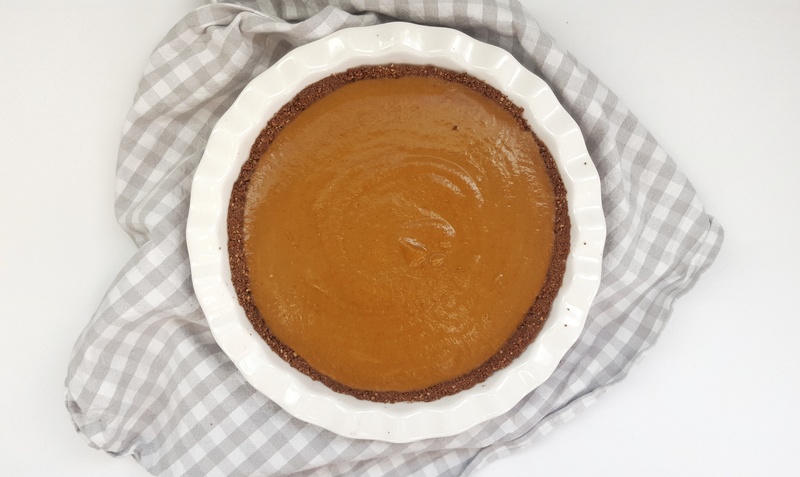 Pumpkin pie is a festive staple for my family and has been my favourite dessert for as far back as I remember. There is one element, however, that I recently haven’t been fond of – the crust. Maybe I’m alone in this, but I’ve never been crazy about the taste or texture of the classic crusts. 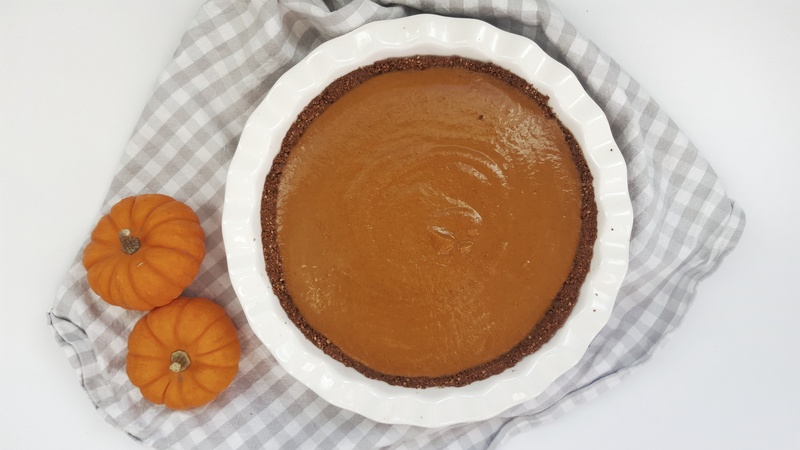 This year, as I was shopping for thanksgiving dinner, I gave the frozen pie shell’s ingredient list a read, and I quickly realized I needed to come up with a healthier, less processed version. Enter the maple-pecan pie crust. Made with whole, natural ingredients that each have a place in your diet and come together as the perfect complement to any pie. I didn’t want to do too much experimenting at once, so for the filling I used the recipe straight off the E.D. Smith label and have included it below. I plan to alter ingredients in the future, but until then I’m going to enjoy this classic filling recipe. In a food processor, combine all ingredients for the crust. Continue until all ingredients have been finely chopped and stick together if pressed between fingers. Transfer crust mixture to pie dish and press evenly into sides and bottom of the dish. Place in oven and bake 17-25 minutes; until golden brown. Set aside and let cool. In a medium-large mixing bowl, lightly beat eggs. Add the pure pumpkin, sugar, cinnamon, nutmeg, ginger and salt – stir until well combined. Gently blend in evaporated milk. Once shell is cooled, pour in filling and bake for 15 minutes at 425 F.
Reduce temperature to 350 F and continue to bake for 30 – 35 minutes or until a knife comes out clean. Pssst! Don’t miss out on new recipes just like this. Subscribe to the blog and have new recipes delivered straight to your inbox. Looks yummy. I just skip the crust and go right for the filling.